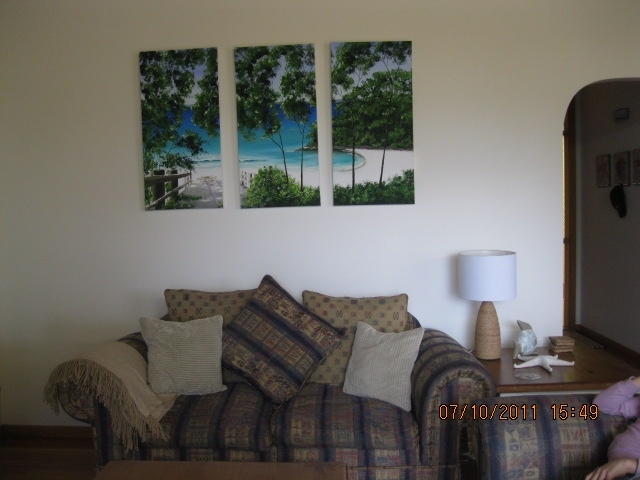 Tranquility beach house offers you amazing views, quality furnishings, comfortable beds 2 lounge areas (separate levels), LCD TV's, 2 DVD's music system and a pool table. Fully equipped kitchen inclusive of a dishwasher, BBQ, washing machine and dryer. The house sits high and catches cool sea breezes, there are also ceiling fans for your comfort. 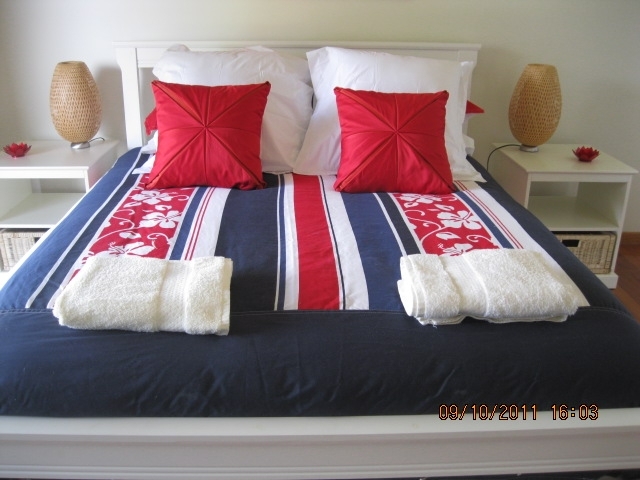 Tranquility beach house can accommodate couples or families with three bedrooms. The master room is furnished with a Queen size bed quality quilt, wardrobe and views.Bedroom 2 also has a new Queen size bed quality quilt and built in robe. 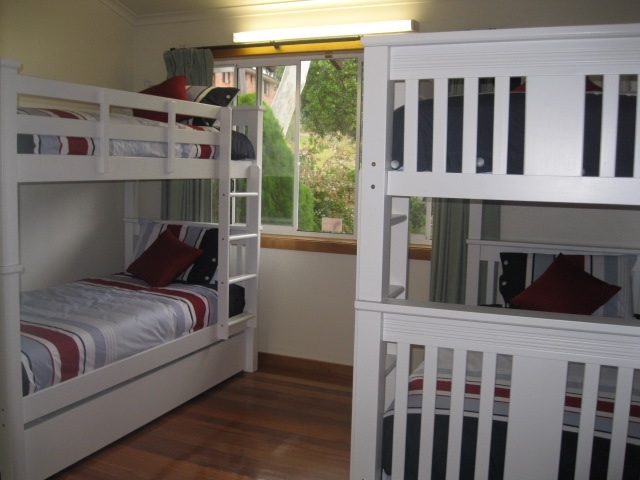 Bedroom 3 accommodates 5 people in 2 sturdy new bunk beds + a trundle also dressed with quality quilts. Should extra bedding be required there is a new fold out inner spring mattress sofa bed downstairs with it's own bathroom. "Thanks for a fantastic weekend away at your beach house! We loved how beautifully presented it was." "Thank you for a great weekend away, we were so impressed with your place, it was very clean, the views were lovely and the location fantastic such an easy walk to 2 beautiful beaches." 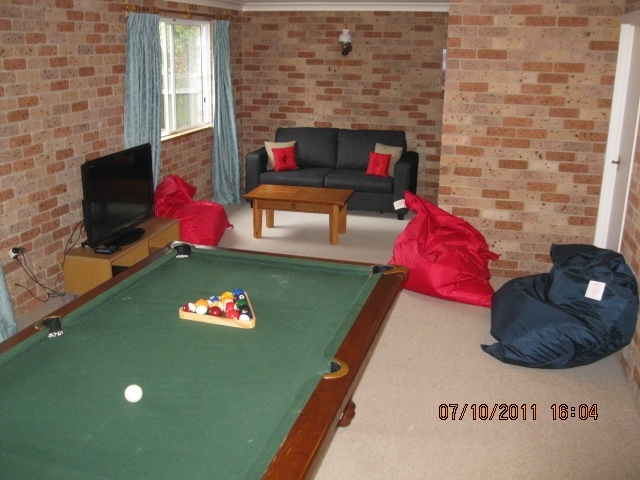 "Great location, loved being so close to the beach." 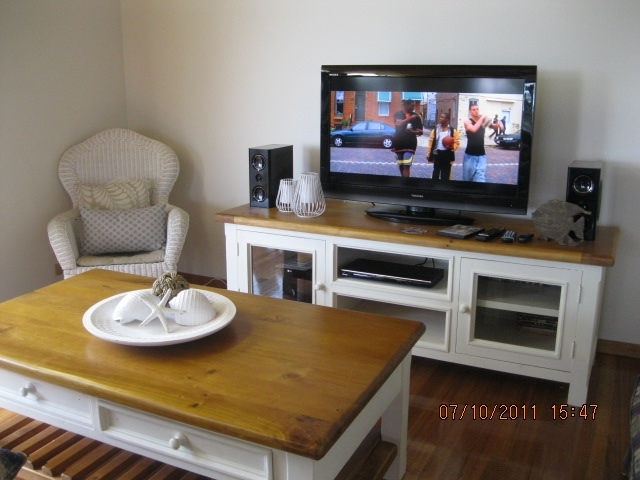 Locality - Tranquility beach house is an easy stroll to 2 beautiful beaches, Blenheim and Nelson Beach. 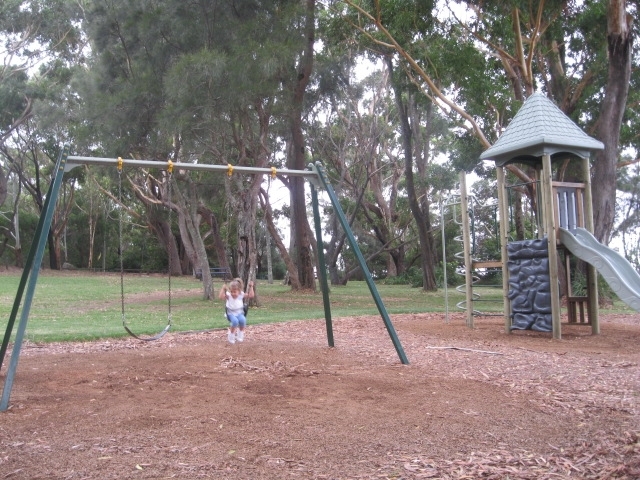 There is a playground and picnic facilities at Blenheim Beach. Activites include, diving/snorkeling,bike riding, bush/beach walks,whale/dolphin watching,golf and access to beautiful pristine beaches at Booderee National Park and Botanical Gardens. Ample restaurants available near by. 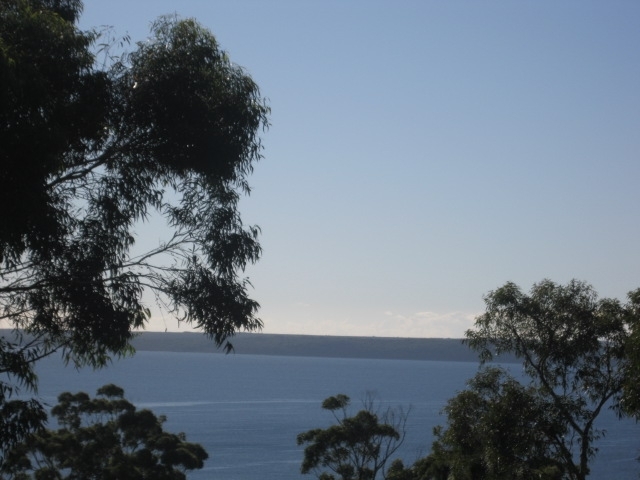 Tranquility beach house Jervis Bay is only 2.5 hours from Sydney so makes for an easy drive for a short weekend getaway. 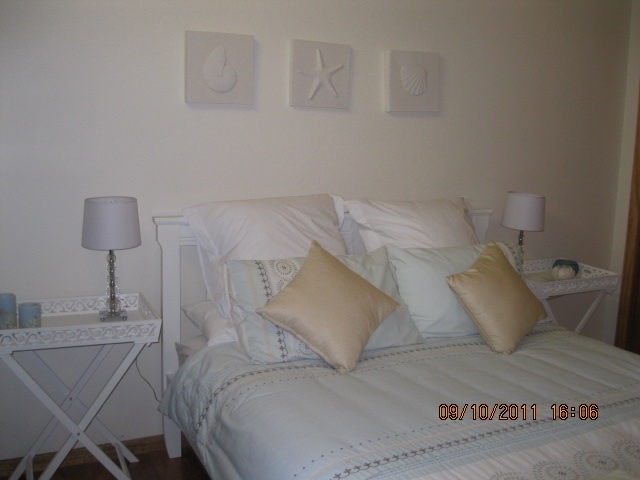 Once you arrive there's no need to go anywhere as the property is fully equipped. Beautiful beaches a short walk away. 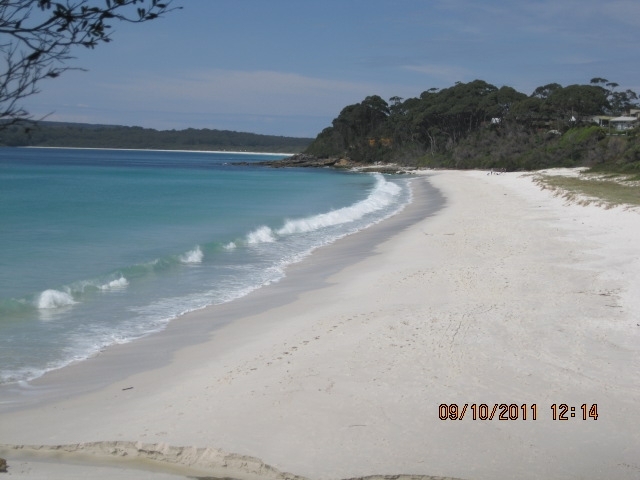 When visiting you must walk the "White Sands Track" accessible from Blenheim Beach the nearest beach to our property, this walk will take you along the coast under tall gums to Greenfields beach and further along to Hyams Beach where you can grab breakfast or lunch at the Hyams beach Cafe. If travelling with kids there are numerous paved cycle ways, take a short drive to Booderee National Park you'll be amazed!